Join the 2019 Pittsburgh Business Show exhibitors, sponsors and attendees for some of the most unique networking events in Pittsburgh. Networking in Pittsburgh is a way of life and if you are like most professionals, business owners or small businesses your time is valuable. The Pittsburgh Business Show was created with professionals in mind. Professionals that are looking to work hard, connect fast and make sure that business is being taken care of. No matter if you purchase the entire 2-day ticket or attend one of the speed networking events you are sure to find that the connections and relationships that you make will be beneficial. It is after all “Where Business Happens” in the city of Pittsburgh. 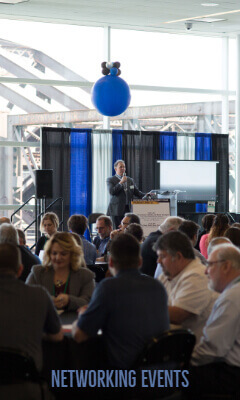 Whether it is meeting for a cup of coffee, grabbing a chef inspired meal during your lunch break or camping out all day to pass out your cards, make connections and meet some of the best business in Pittsburgh, the Business Networking Cafe will be your spot to connect. Beginning at 10:00 am on both Tuesday, May 14th and Wednesday, May 15th, 2019 the Business Networking Cafe will be open and ready for you to network on your schedule. Feel free to come and go as you want to get the most out of your busy day. Located in the back of Hall A at the David L. Lawrence Convention Center. Speed networking is a fast and fun way to meet other professionals in a very short amount of time. This year the Pittsburgh Business Show is excited to announce that we will be the host of three Speed Networking events hosted in the Lobby of the David L. Lawrence Conventions Center. Just like speed dating, speed networking allows you to meet as many people you can in a very short amount of time. 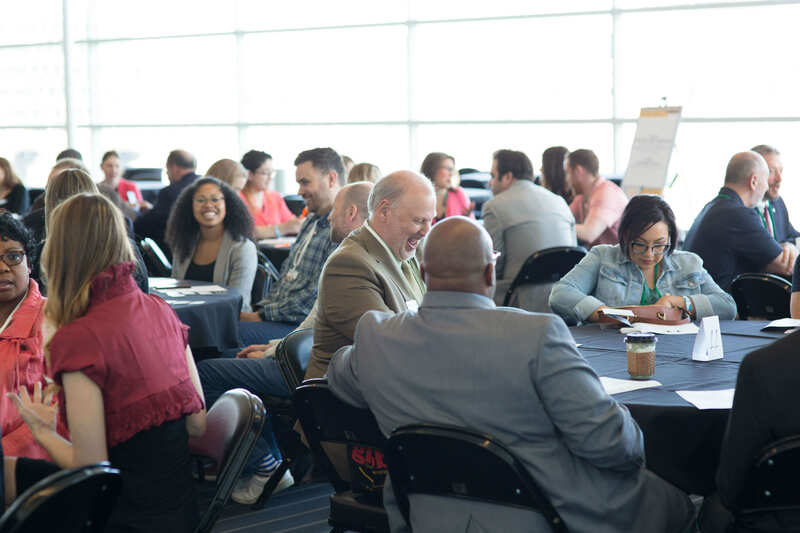 Speed networking in Pittsburgh is a great way to meet potential clients, business partners, and to make new, mutually beneficial connections in the Pittsburgh business world. This year the Pittsburgh North Regional Chamber of Commerce will once again serve as the host of the event. Due to the popularity of this event and the fact that it sold out last year, we have increased the number of sessions for 2019. This year the show will include three separate ticketed events, so whether you can make it during the morning hours, in the afternoon or after work in the evening, there is a session for you. Individual tickets for each event are already on sale, and you can purchase one or all three of them on the Pittsburgh Business Show website. And if that wasn’t enough networking, the Pittsburgh Business Show will be hosting a one-of-kind Celebrate Pittsburgh Business Networking Event on Tuesday, May 14th, 2019 at 7:00 pm in Hall A of the David L. Lawrence Convention Center. Join the Business Choice Award Winners, the Pittsburgh Business Pitch contestants, the Women Who Rock Life Tour attendees, the exhibitors, attendees, business owners, chambers of commerce, and other professional organizations for an evening of fun, food, and networking! As a participant in our Business Champions Networking Event, you will have the opportunity to meet and mingle with peers in your industry, company presidents, entrepreneurs, investors, and be in the company of the best businesses in Pittsburgh. This event includes a cash bar, delicious light bites and appetizers, and music provided by local Pittsburgh-based band, Chase and the Barons, for a fun-filled evening of networking with top business owners and other professionals that can help you grow your network and your business. Celebrate Pittsburgh and join in celebrating and connecting with businesses from the Pittsburgh Region and the surrounding area including Allegheny, Washington, Butler, Beaver, and Westmoreland counties. Tickets will go on sale January 1st, 2019. Tickets for this event are limited, and this event is anticipated to sell out. Businesses that would like to purchase 10+ tickets for this event or VIP tables should contact the show directly at info@pittsburghbusinessshow.com.